Gorgonia Hilario Diego, 83, of Princeville passed away at home on February 4, 2019. She was born in Maan-Anteng, Solsona, Ilocos Norte, Philippines on December 9, 1935 and retired as a Taro Farmer. Preceded in death by her husband, Augustin Diego. Gorgonia is survived by sons, Augustin Diego, Alex (Sandy) Diego; daughter, Glenda Diego; 5 grandchildren; sisters, Marina (Julio) Agacid, Priscilla DeVera; brothers, Cosme (Virgie) Hilario, Andy (Liza) Jambaro, Vincente (Mary) Hilario; numerous nieces, nephews and cousins. 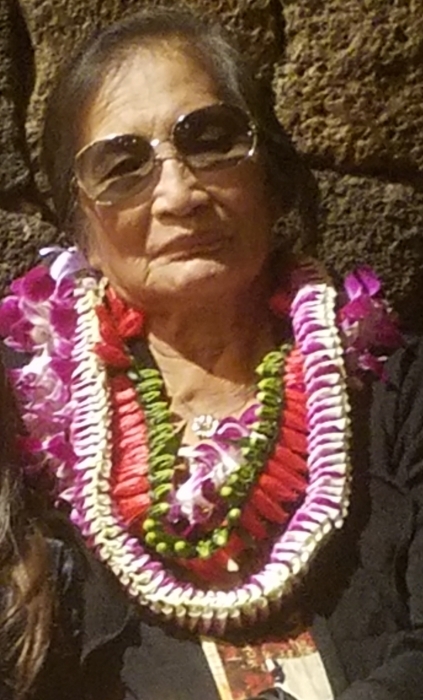 A celebration of her life will be held on Saturday, February 16, 2019 at St. Williams Church in Hanalei with viewing from 8:00 a.m. and Mass celebrated at 10:00 a.m. Burial will follow at Hanalei Valley Chinese Cemetery.